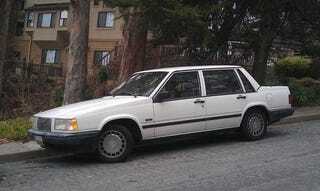 1991 Volvo 740 for $975. I texted him to find out that it has a clean title, service records, and that the timing belt and idle control motor were done within the last year. He also told me there's a small crack on the top of the radiator that allegedly doesn't leak.